It was the first meeting between two soccer clubs in European League of Legends. While most of the attention was on the North American and European LCS matches this weekend, a historic matchup was being played out in the European Challenger Series. 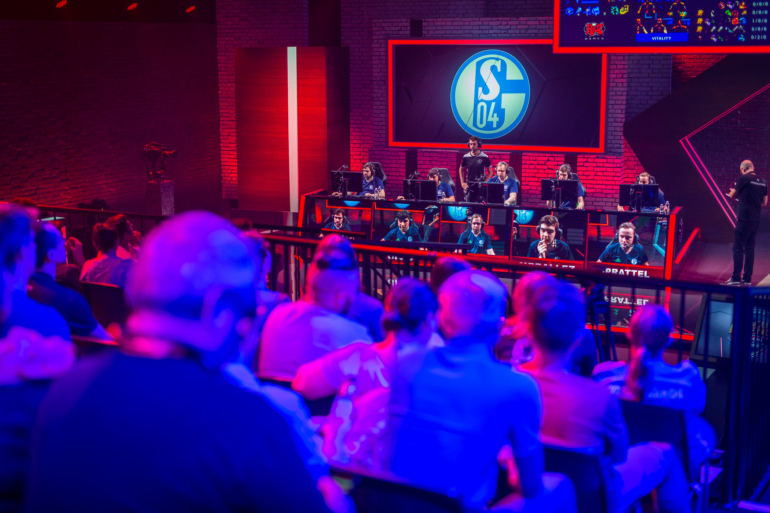 FC Schalke 04 and Paris St Germain, two of Europe’s biggest soccer clubs, met on the Rift for the first time—one of the first meetings between two traditional sports clubs in an esports competition. Schalke, who defeated Team Kinguin in their debut Challenger Series match last week, are looking to return to the LCS at the first time of asking after being relegated after just one split. Meanwhile PSG acquired the Challenger Series spot of Team Huma and are making their first steps into esports. The team lost to Fnatic Academy in their debut match. When the two sides met in the best of two match, it was Schalke who emerged victorious in relatively comfortable fashion. The first game saw the teams trade kills throughout, but Schalke’s experience showed through as they dominated the objectives to control the map and pick off PSG’s towers. The first game appeared to break the spirit of PSG, as they rolled over in game two inside 30 minutes. Managing just five kills and one tower, Schalke won with a gold lead of over 15k. The loss will particularly have stung for PSG top laner Etienne “Steve” Michels, who left Schalke in the off-season and joined the French team. With two match losses now in two games, PSG find themselves bottom of the Challenger Series table in the early going. Meanwhile Schalke look a step above their opponents, and look like good value to gain the promotion they are desperate to seal. As traditional sports teams continue to invest into esports, these types of meetings are likely to become more and more common. Turkish soccer teams Besiktas and Galatasaray, who have a famous rivalry dating back to 1925, recently met in the Turkish Championship League for the first time.